The long running battle between southern Nevada rancher Cliven Bundy and the BLM may be coming to an end soon. On July 9th, Nevada District Judge Lloyd D. George ordered Bundy to remove his cattle from BLM and National Park System lands in the Gold Butte and Overton Arm areas of southern Nevada. He was given 45 days to comply with the order or face seizure of his livestock by the BLM. Furthermore, the order says that the BLM was entitled to protect the lands from trespass and all further trespass by Bundy’s cattle and can seize them as long as he is given proper notice. 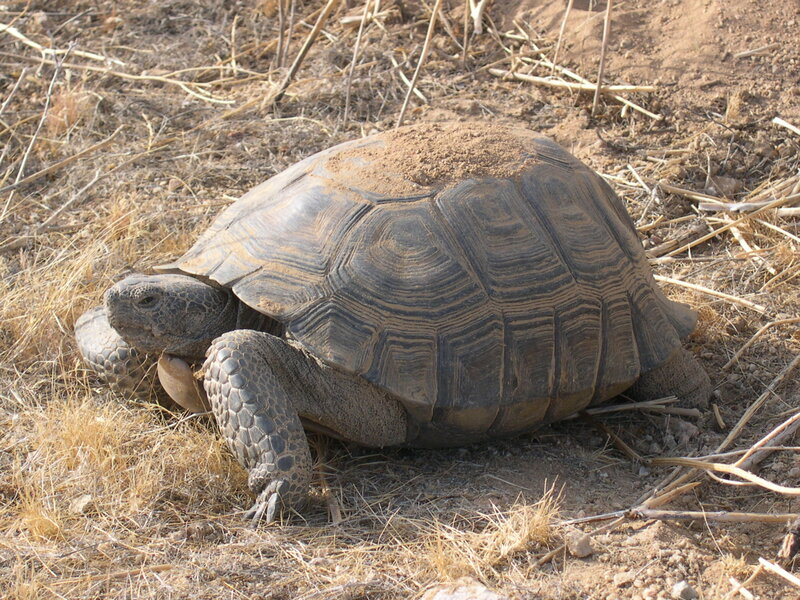 Bundy was ordered to remove his cattle from the Bunkerville Allotment in 1998 after four years of trespass because the lands are important desert tortoise habitat. He was also enjoined from ever grazing cattle there ever again and to pay the fines associated with the trespass. His cattle have remained on the Bunkerville allotment and have expanded onto adjacent federal lands. What happens next depends on whether Bundy removes his cattle, but it appears that Bundy has chosen to spend part of the 45 days attending a convention in Pierre, South Dakota where he is being touted as a defender of private property rights. Seems kind of ridiculous considering his cattle have been trespassing on public property. Trespass is not an uncommon occurrence on public lands in the West. This year a rancher in southern idaho was charged $24,651 for trespass on Juniper Mountain in southern Owyhee County last summer. Western Watersheds Project commonly documents trespass while conducting field visits and we receive several other reports from the public. You are encouraged to document the location of trespass cattle and get photos of the brands then report this information to the proper land management agency. Sometimes the agencies actually hold these ranchers accountable. Nov. 28, 2012. 18 years of trespass and BLM still hasn’t removed the cattle. May 15, 2012. BLM sues rancher rather than remove trespass cattle from the Gold Butte allotment. In its range management guidance, BLM recognizes the importance of protecting against grazing trespass. Its Handbook on Unauthorized Grazing Use states that officials “must give priority to preventing and detecting unauthorized grazing use on the public lands.” BLM issues permits for up to ten years, but it may suspend or cancel them if permit conditions are violated. Unauthorized grazing – referred to by BLM as grazing trespass – can take several forms, including grazing in areas that are closed to livestock. An effective trespass enforcement program must offer reasonable assurance that offenders, especially willful ones, (1) will be detected and (2) when detected, will be assessed an appropriate penalty not only to penalize them but also to deter others from trespassing. Bureau of Land Management’s regulations do not provide BLM range staff with the flexibility to resolve trespass incidents informally thus BLM Field Office Managers and staff must be held accountable for enforcing to the full extent of the law all trespass violations and appropriate penalties, fees and grazing suspensions by the any and all violators found to be in violation. This is certainly one of the worst examples of what happens when the field managers do not act on trespass. The scofflaw becomes emboldened, begins to think they have a “right” to free and unregulated grazing by prescription. They even come to think that a return to lawfulness is a violation of their property rights!!! Thank you for the time that you spent in researching this. It is hard to believe that it has taken this long to come to a resolution in this ongoing episode. Thanks for the post. Nothing has been truly resolved yet. Who knows whether the BLM will actually round up the cattle. To start out I would like to say you may need to spend a little more time in your research sir. Cliven bundys ranch was in fact in his family before the greedy government and greedy envoros thaught that they should be able to lock people out of the gold bute area. Second in the state of nevada there is a fence out law meaning that if they don’t want cows where they are they should probably fence them out. And third in the constitution of the united states the fedralvgovernment should not have land inside a state! That is county land and the blm should not be there in the firdt place. The land belongs to the Federal Government and is held in trust for all of the public. It does not belong to the state, county, or Cliven Bundy. His cattle are trespassing. Mr. Bundy is basing his actions on a conception of public lands and the U.S. Constitution that was definitively overruled — said to be incorrect — by the federal courts back during the Sagebrush Rebellion. Your speak of counties, but counties are entirely creatures of a state. Nevada could legally create or abolish any county in Nevada if it choose to. These are not county lands. They are not lands of the state of Nevada. They are lands of the United States. There were won in war from Mexico. When Mr. Bundy acquired his ranch is of no relevance to the situation. I don’t know where you got your mail order legal education, but if I were you I would ask for my money back. Not a thing you stated that carries any weight under federal statutory law or the Constitution, sport. And, how is it you or anyone can justify Bundy’s cows eating for free on federal land, when everybody else pays (even though it is not market price for equivalent private grazing), even after he has been repeatedly asked, actually ordered by a federal court to remove his cows from public lands. The old coot ought to be thrown in the can for a few months and have his bank account lightened a bit. And, that may just happen before this costly and protracted fiasco is over. WM, an excellent reply to McKay! It made my day!! Mr. bundy has a right to these lands and his cattle the right to graze them. The BLM and Enviro’s need to stop bleeding the American people for profit and destruction. 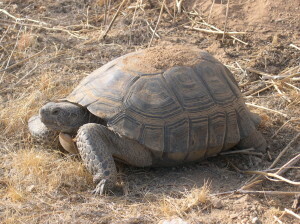 I grew up in the desert and I can tell you this the only enemy the tortoise has is man, cars, and disease. BLM has raped people of there land for big companies since its birth. If a person uses or owns land before state hood it belongs to them, or they hold the right to use said land. any other point of view defies the whole point of our constitution and why it was enacted in 1777. to be free of taxes and free of over bearing governor’s. to back BLM and government seizure of private or public land from the people is and will always be a violation of the constitution of the United States of America. No sir, you are wrong. Mr. Bundy does not have the right to these lands. They are public lands owned by everyone, not private lands. You, sir, are a fool and should go back to school to learn the difference. Our society is reaching a point of chaos. Violent crime is rising, international bonds are breaking, the country is still on shaky financial ground, the Federal Government is full of crooks and corruption, and yet the Feds are spending their resources fighting a rancher. Absurd! However, in light of the government’s incompetency, flexing its muscle against a cattle rancher is probably it’s only way to pretend it has some level of legitimacy. Leave the rancher alone. We nuked half of Northern Nevada and the desert tortoises there while testing atomic weapons but this guy can’t feed his cattle? I propose a deal. If Clive Bundy is forced to stop feeding his cattle, we the people should stop feeding our cattle as well…our cattle in Washington that is. Stop paying the politicians and let’s see how willing they are to starve a bunch of cows. Whether branded with an iron, an “R” or “D”, they all smell like manure.